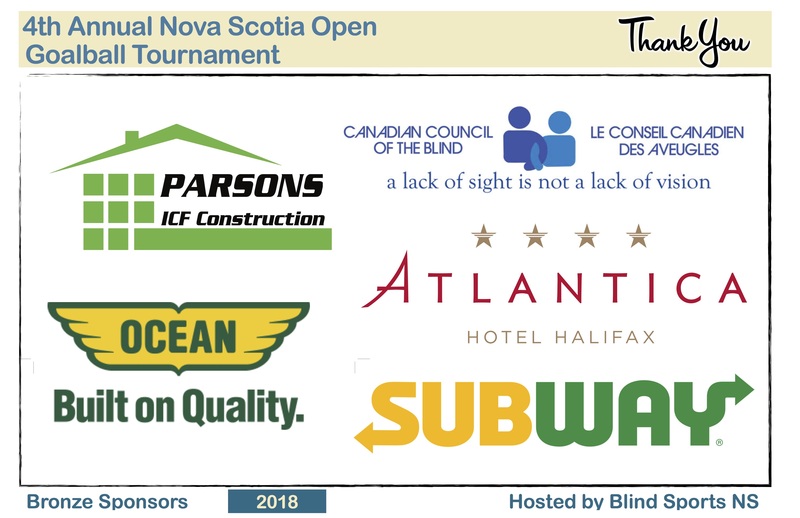 Blind Sports Nova Scotia | Promoting community, sports, active and healthy lifestyles for visually impaired Nova Scotians. 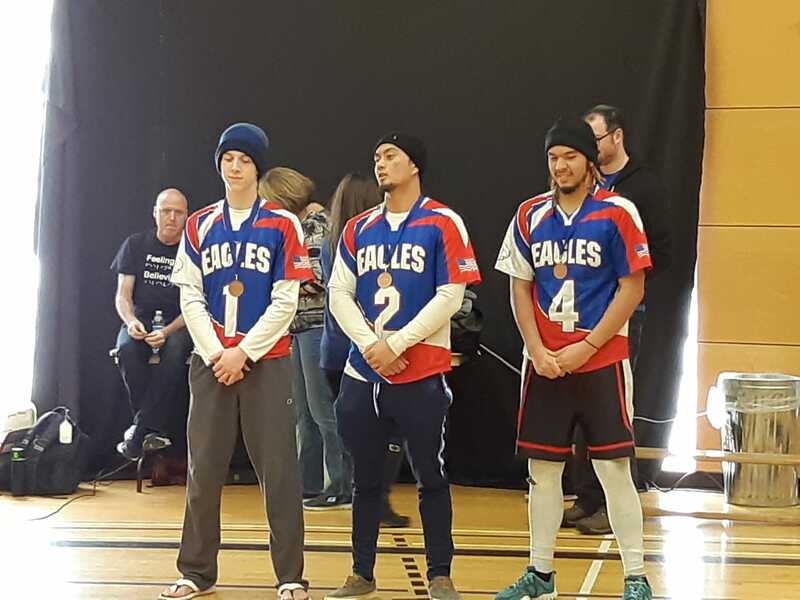 Nova Scotia was very well represented this past weekend at the Eastern Canadians goalball competition in Brantford, ON. 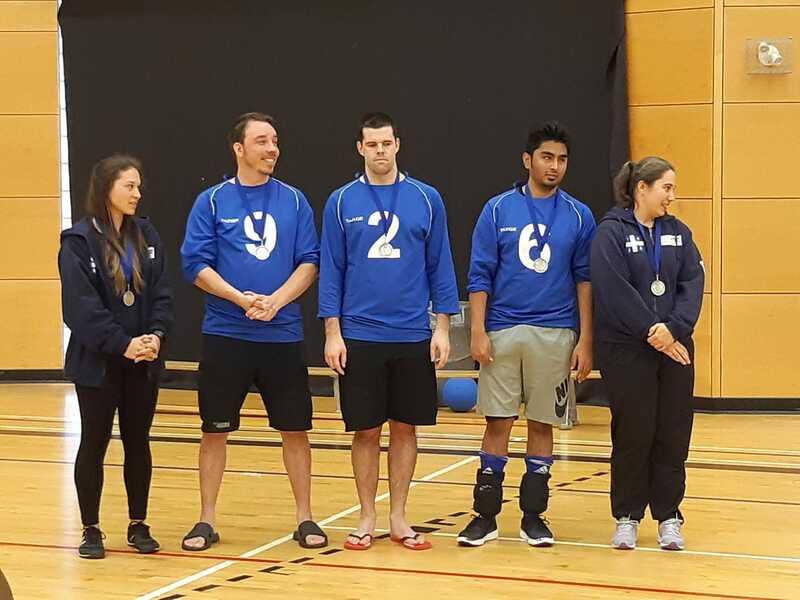 The NS Ship Recs brought home gold medals, securing first place for the third year in a row in the open rec. division! The co-ed team earned 5 wins and 1 tie. Young Nova Scotians also brought home hard-earned hardware! 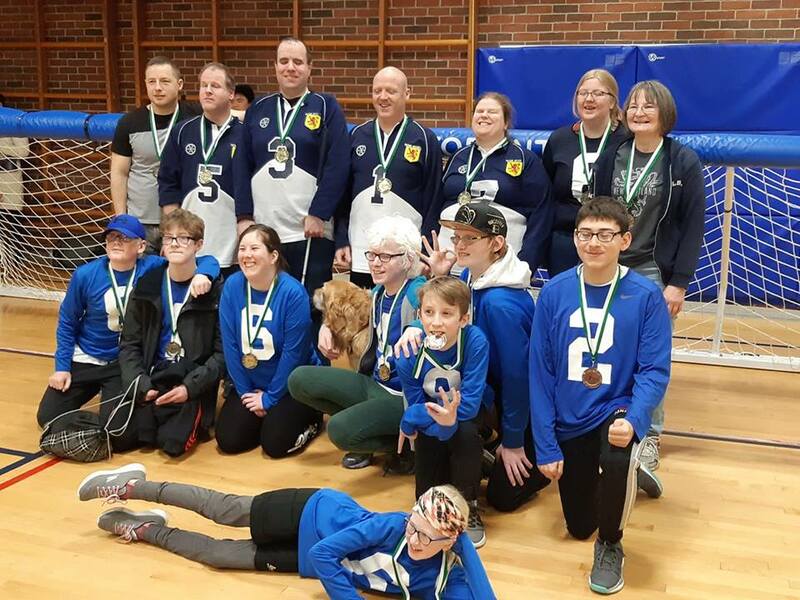 Youth teams, the Blizzards and Bluenosers captured gold and bronze respectively. Congratulations the athletes & coaches! We are beyond proud. Go Nova Scotia Go! Check out the Chronicle Herald news article. 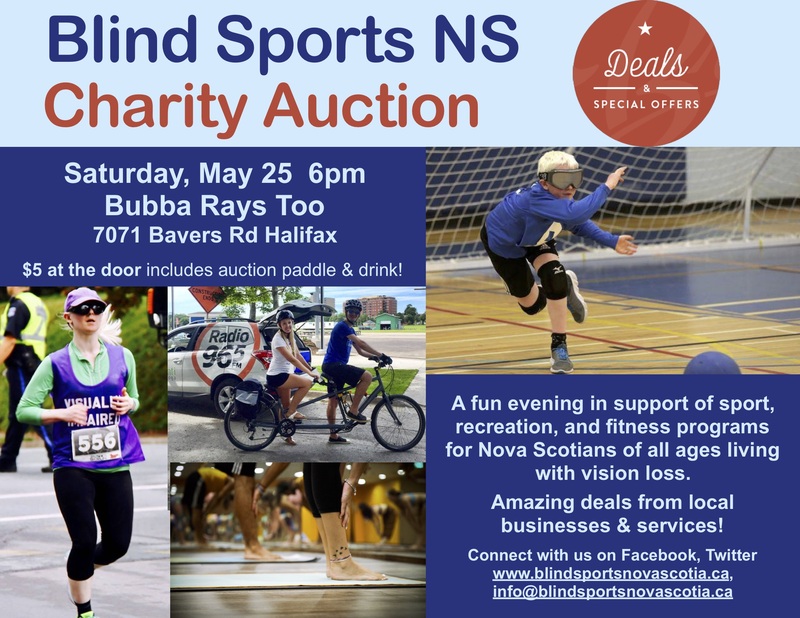 Join us for a fun evening in support of sport, recreation, and fitness programs for Nova Scotians of all ages living with vision loss. Find amazing deals from supporting businesses & services in the community! $5 at the door includes auction paddle & drink. Ho, ho, ho! We’re wishing everyone a joyous and safe holiday season!! What a weekend! Congratulations to all athletes, who competed and demonstrated incredible sportsmanship and skill this weekend. 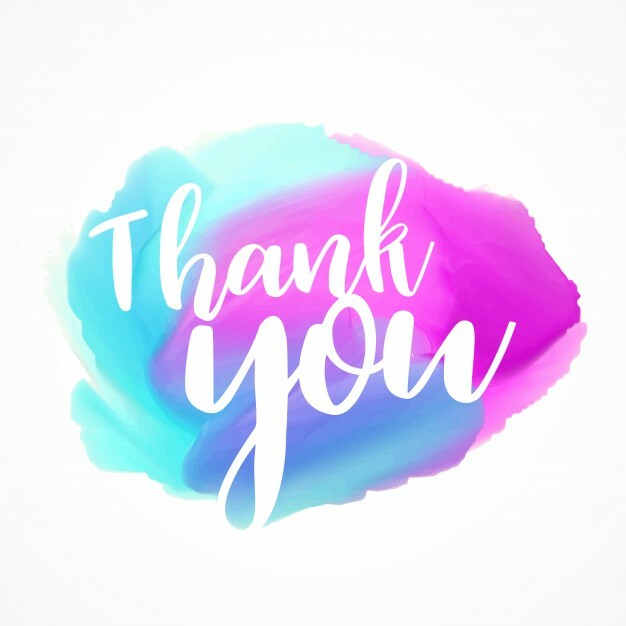 Thank you to each and every volunteer, from the organizing committee to the goal judges to the food crew, you made this event a huge success. Many, many, thanks to the officials for your professionalism and time this weekend. 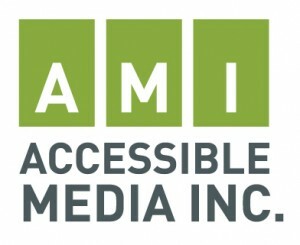 We’re beyond grateful for the support of all returning Gold, Silver, and Bronze Sponsors, as well as Goalball Supporter contributors. 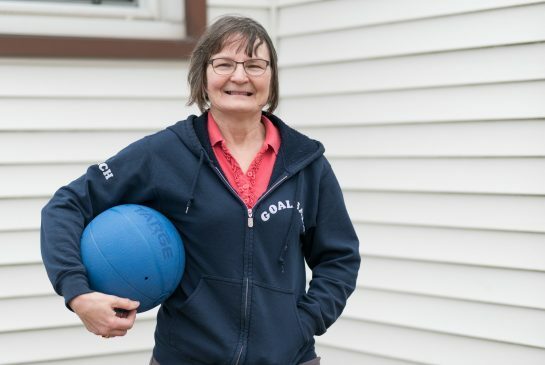 Your donations enable us to create these inpactful opportunities for athletes of so many skill levels and ages to participate in competitive sport. For detailed tournament results, videos with play by play of each game, and more, visit us on Facebook! 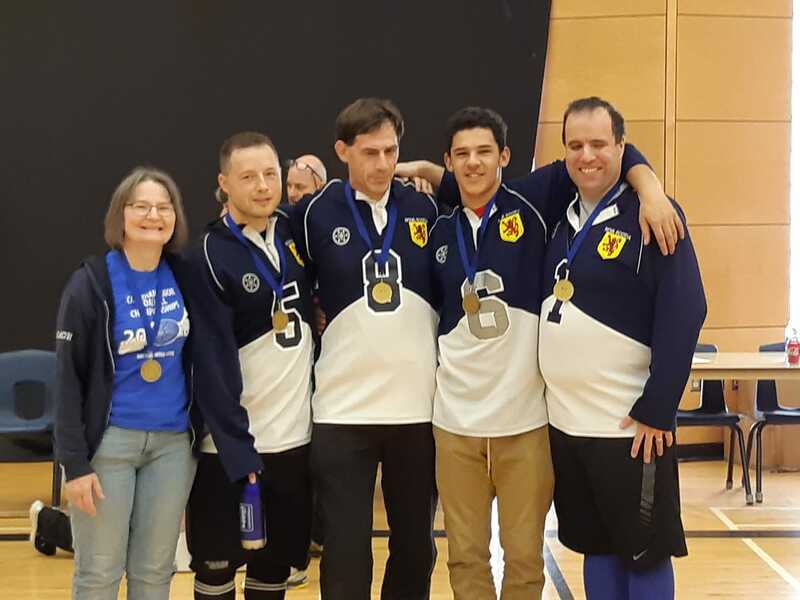 Silver Medal winning team, Québec! 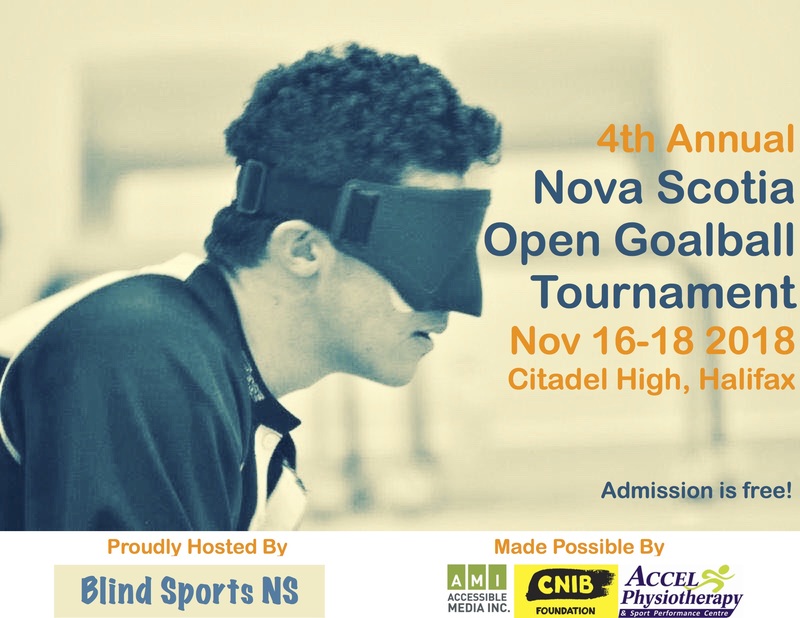 The 4th Annual Nova Scotia Open Goalball Tournament brings skilled athletes with vision loss from across Canada & the US to Citadel High to compete in a 3-day parasport event like no other on the east coast! If you’ve never experienced this high-intensity team sport live, now is your chance. Admission is for spectators is free! Join us at Citadel High, 1855 Trollope St, in Halifax Friday, Nov 16, through Sunday, Nov 18, 2018. Visit the Facebook event for matches schedule, results, and live stream of all games with play-by-play! 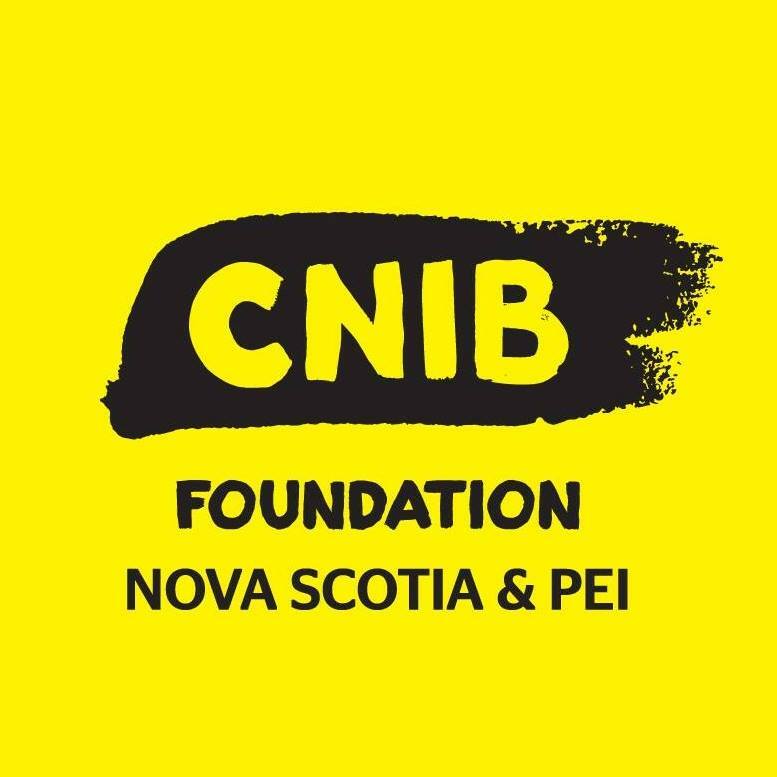 This event is proudly hosted by Blind Sports Nova Scotia, and made possible by AMI, CNIB NS & PEI, and Accel Physiotherapy. Please note that all goalball practices in Halifax are canceled this coming Thanksgiving weekend. 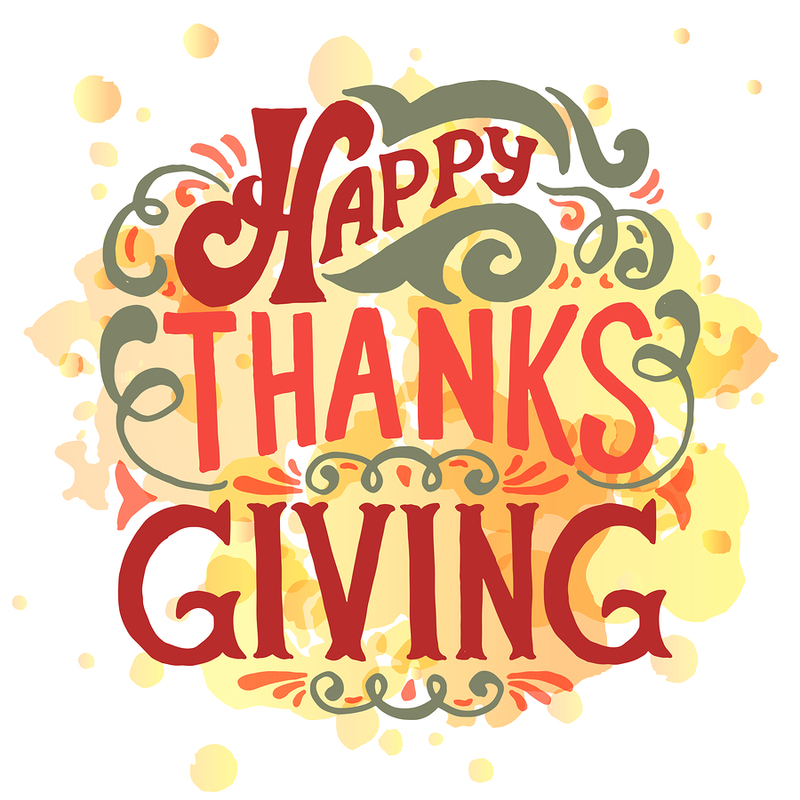 From our Blind Sports family to yours, Happy Thanksgiving! 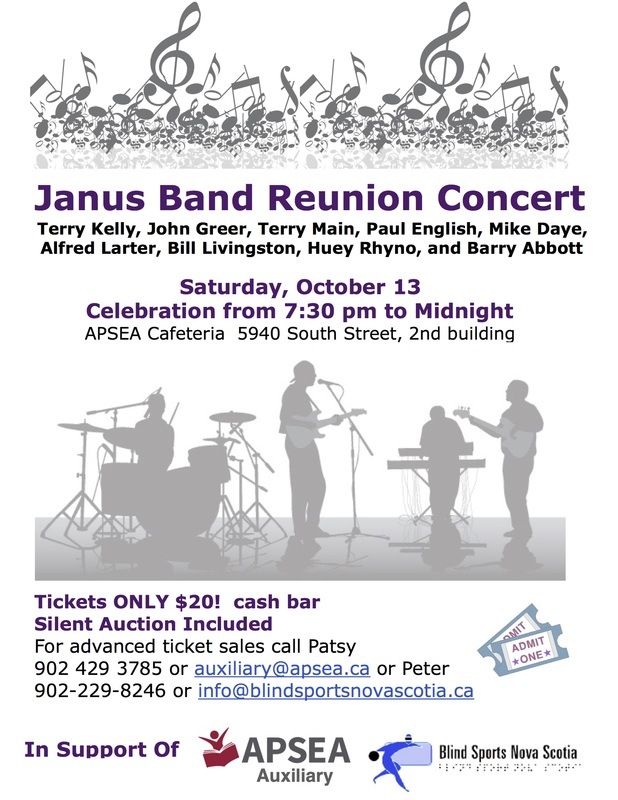 Celebrate a fun evening of live music with talented Halifax musicians, including Terry Kelly, all in support of Blind Sports NS and APSEA Auxiliary! Tickets are ONLY $20! Includes a silent auction and there will be a cash bar. location: APSEA Cafeteria 5940 South Street, 2nd building. Check out the Facebook event! 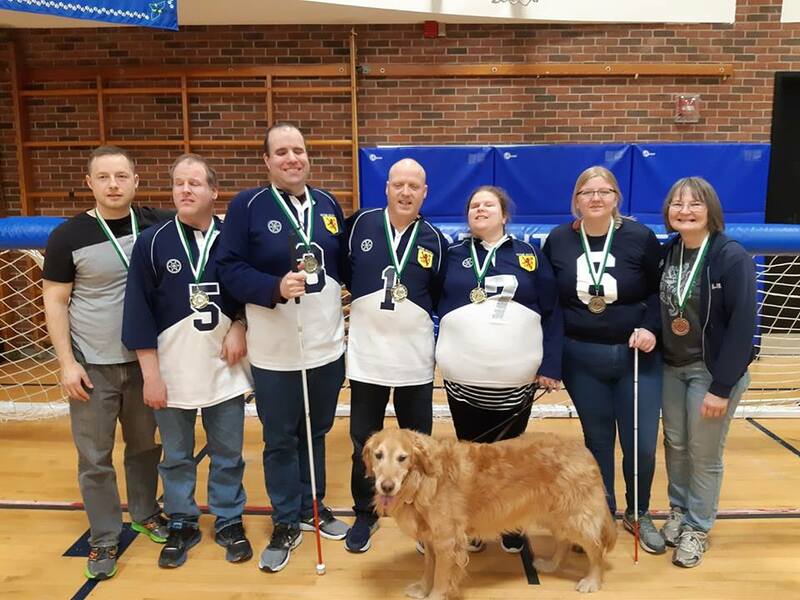 Blind Hockey hits the ice for the 2018-19 season this weekend!! Practices are 7:30 to 8:30 (arrive at 7) starting Sunday September 9. Interested in giving it a try? Got questions? Visit the Blind Hockey page for more info. 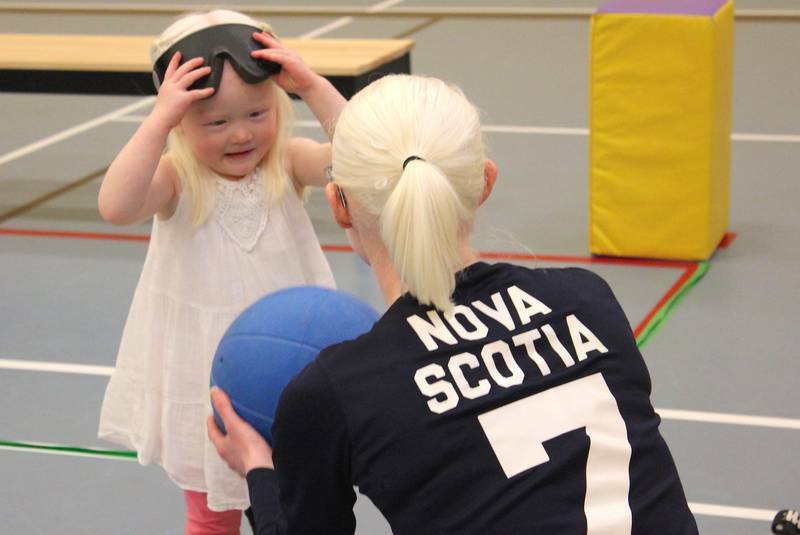 Blind Sports NS hosts competitive & recreational goalball programs for all ages and skill levels throughout Nova Scotia. Qualified coaches & volunteers make these programs possible. Recreational Mixed -Saturdays, beginning September 15th until April, 2018, at the George Dixon Centre in Halifax (2502 Brunswick St.). 3:30 to 5 p.m. Recreational goalball is for men & women of all ages and experience levels! Want to check it out or want more info? Email us at info@blindsportsnovascotia.ca. Junior Goalball -Saturdays, beginning September 15th until April, 2018, at the George Dixon Centre in Halifax (2502 Brunswick St.). 2:00 to 3:30 p.m. Want to check it out or want more info? Email us at info@blindsportsnovascotia.ca. Senior Men’s -Sundays, beginning September 16th until April, 2018, at the George Dixon Centre in Halifax (2502 Brunswick St.). 3 to 5 p.m. This weekly goalball practice is for those interested in competing with the provincial men’s team. Want to check it out or want more info? Email us at info@blindsportsnovascotia.ca. 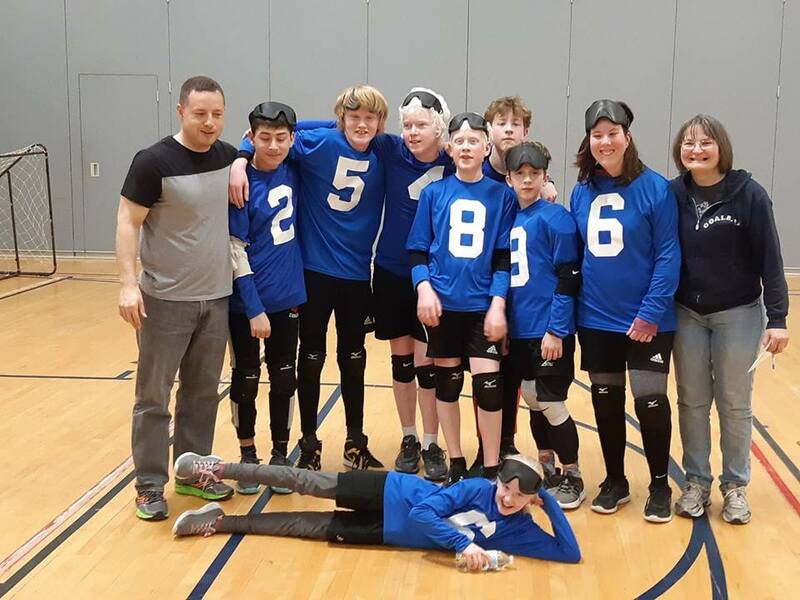 We had a great time sharing goalball with Cape Breton on the weekend and we’re not finished yet! If you’re interested in giving goalball a try or would like to organize a demonstration, we’d love to hear from you.